Poor Isaac Clarke. 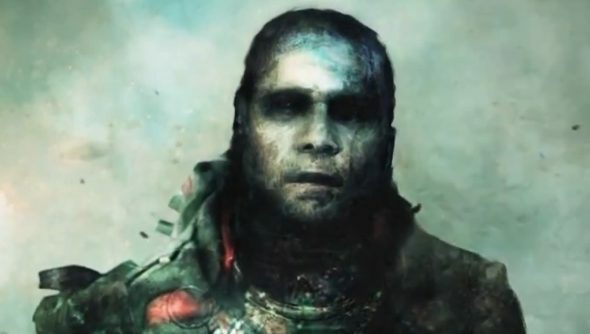 Not only does he win the prize for the universe’s most easily-dismembered man, but he doesn’t make an appearance in the trailer for Dead Space 3. Somewhat beefier protagonist John Carver takes his place in this atmospheric but unengaging promo vid. We liked Clarke. In the first Dead Space he was pretty much mute, in the second he gained a set of vocal chords, as well as balls big enough to perform laser surgery on his brain via his eyeball. In true survival horror fashion, he was woefully underpowered and weak, but also handy with numerous improbable butcher-like tools. The Clarkeless trailer shows Carver talking to his wife and kids, before they’re (presumably) killed in a Necromorph attack. It ends with Carver saying, “I’m coming home. Now.” Even though he just saw his home destroyed by the Necromorphs. We hope that works out well for you, Carver.